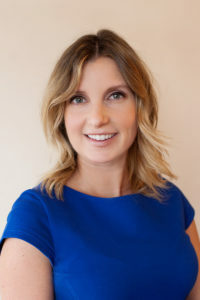 After spending her first year working in a private MD practice, Dr. Nally joined the Flaum Eye Institute’s faculty group at the University of Rochester in western New York. In addition to her faculty appointment, she has practiced in the refractive surgery center, specialized in medically necessary contact lenses, co-managed patients with retina, glaucoma and cornea specialists and built a patient base for comprehensive eye exams. Most recently, Dr. Nally has focused her interest on Dry Eye Disease and worked to expand the scope of diagnosis and management. Working in an academic medical center also affords Dr. Nally many opportunities to volunteer. Professionally, she mentors medical students during their eye clinic, serves on numerous department committees, including patient education and employee satisfaction and is a fellow of the American Academy of Optometry. Giving back to the community, Dr. Nally is actively involved in the Flaum Eye Institute’s Glasses for Kids program. When not seeing patients or teaching students, Dr. Nally enjoys spending time with her husband and two sons, Jack and Trevor, while cheering them on at their sporting events. Basketball, which her husband coaches at the high school level, is a family favorite. She also enjoys traveling to warm, sunny locations and hanging out with friends and family. Thank you Dr. Nally, for your support for board certification and your dedication to the profession!